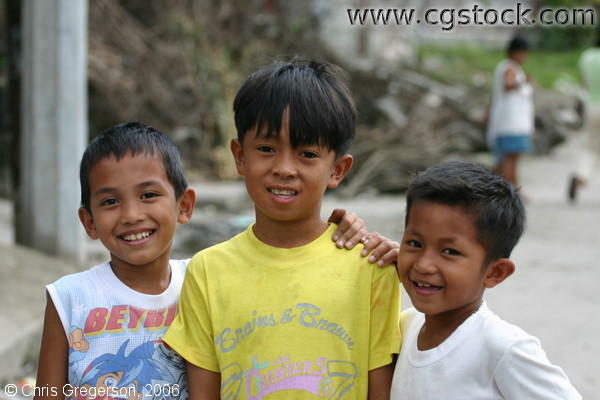 These are three brown-skinned boys practically of same age of around 10 years. They are near Sitio Pader in Angeles City. These boys are shown smiling.